What’s better than bacon? Ranch dressing of course! 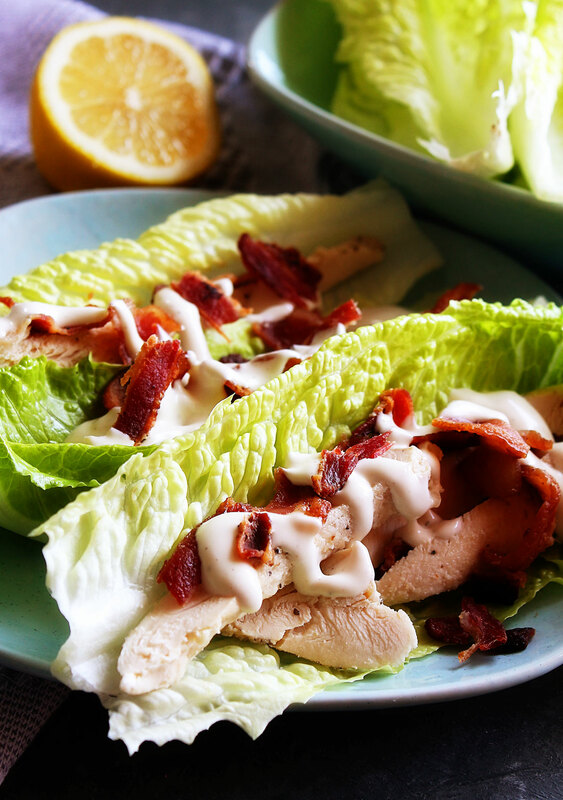 These Chicken Bacon Ranch Lettuce Wraps will quickly become your new go-to lunch! I am thrilled about today’s recipe and post. This one comes from one of my new contributor’s Kathryn. She is a doll and a new blogger looking to spread her wings! 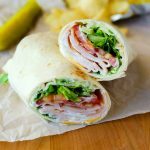 Come check out these yummy wraps she made for lunch. I can’t wait to try them! 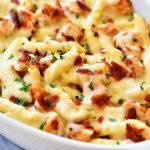 Hi, I’m Kathryn from Kathryn’s Kitchen Blog! I am from and currently live in beautiful Monterey, California. Cooking and baking have been a passion of mine since I was a little girl and I hold it very close to my heart. I have turned my passion into my hobby by developing new recipes and re-creating old recipes with a healthier twist! Most of my recipes that you can find on my blog are simple, easy to make, delicious and healthy. There are plenty of delicious indulging treats on my blog too so it’s the best of both worlds! I am so happy to be a contributor blogger for Life in the Lofthouse. 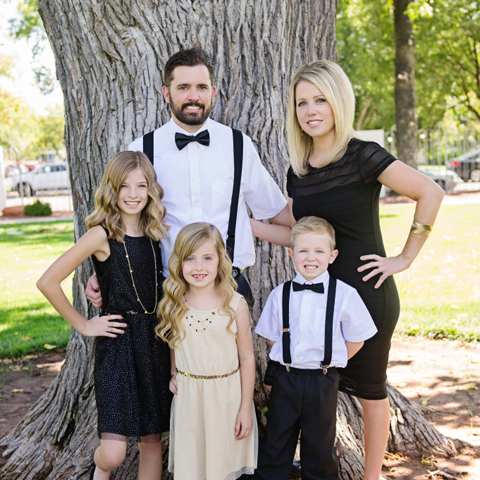 I was so excited when I saw Holly’s post on Instagram about the opportunity because I have been a huge fan of her blog. 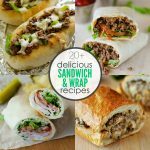 Before I started working with Holly I have saved many of her post on my Pinterest boards and I absolutely love following her on Instagram because her photos and recipes always look so delicious. I can’t wait to see where this journey with Life in the Lofthouse takes me and for the recipes to come! Be sure to stop by my blog: Kathryn’s Kitchen to see my recipes too! What’s better than bacon? Ranch dressing of course! 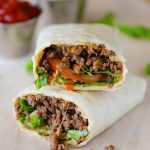 I could not wait to make these easy wraps for lunch. I grilled the chicken and cooked the bacon the night before so they were ready to go for lunch during the week. I can always find ranch dressing in my refrigerator so I am always looking for ways to use it up. Heat a medium grill pan on medium heat and add oil. Season the chicken tenders with salt, pepper, garlic powder, and Italian seasoning evenly on both sides. Cook for about 5 minutes on each side or until the chicken isn't pink. Drizzle the lemon juice on top of the chicken before taking them out of the pan. 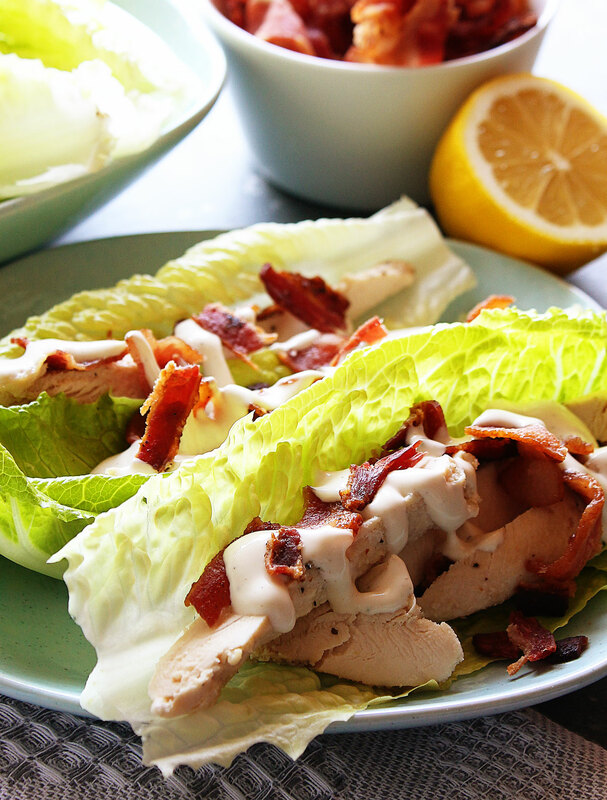 Cut the chicken tenders into pieces and add a few to each lettuce wrap and top with crumbled bacon. 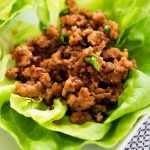 Here is the best part- drizzle Ranch dressing on each lettuce wrap. Enjoy! 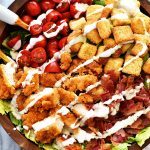 I have done this with Caesar dressing as well…so yummy! 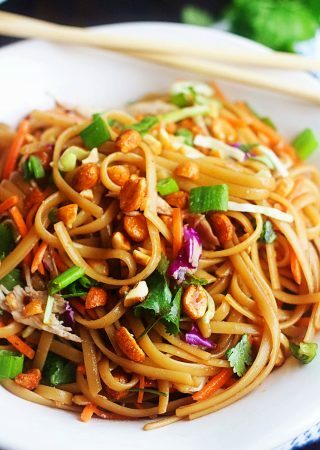 Such a simple quick meal!